Hydrangea flowers and the Iris flowers. 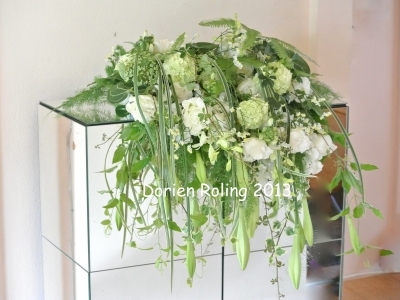 Photo; Bridal main table design. Photo; Main table design of all students togehter. 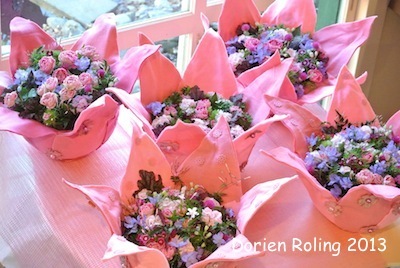 Photo; Teaching how to make the bridal bouquet. 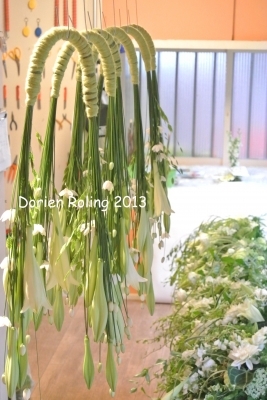 Photo; Moveble / flexible bridal bouquet. 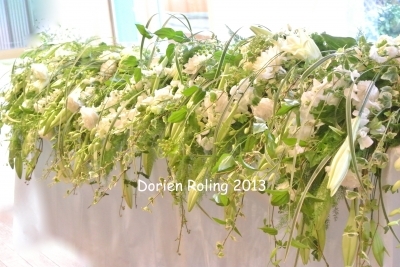 Photo; Detail of the Bridal bouquets. Photo: Happy FLOWER POWER girls. Photo; Yes taking photo's is important. 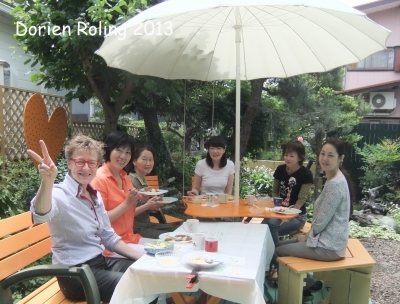 Photo; Luncheon all together in the garden. 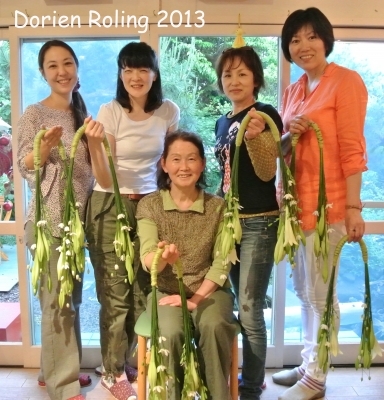 Photo: Kojima san made our "OISHI" luncheon. 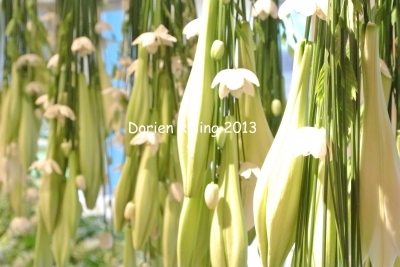 Dutch garden show at Okura hotel in golden week. Relax - Enjoy and keep smiling. 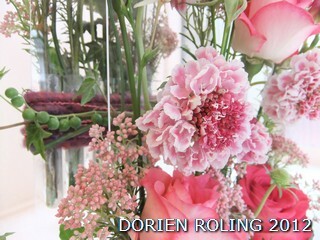 Dorien Roling SEASON COURSE FLOWERY TULIP BAG. and maybe you can take a walk !? 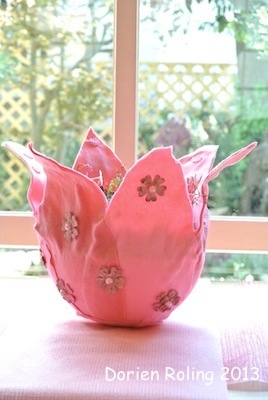 Theme; Mothers day design - FLOWERY TULIP BAG. 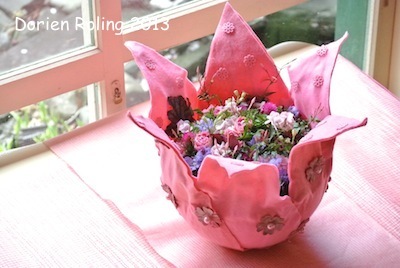 Photo; Tulip shape bag with pink graduation flowers. 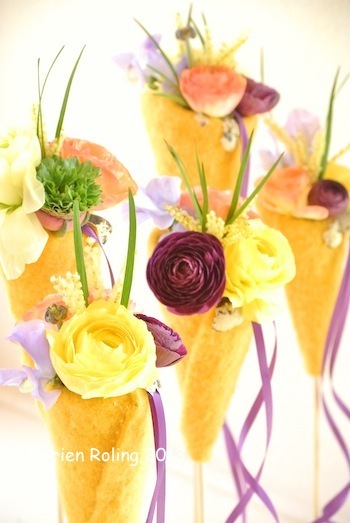 Photo; Hand made Tulip shape. Photo; All together we had fun. 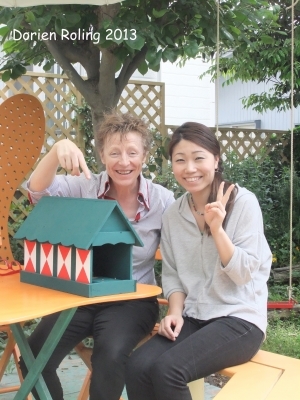 Thank you for joining our lesson in Totsuka atelier. 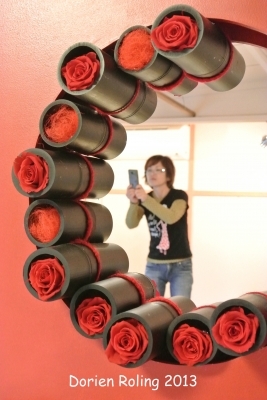 shape frame bouquet. 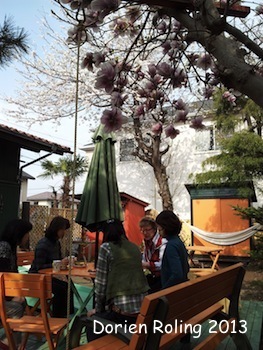 April 16 from 12:00 to 15:15.
view 9.880 yen. 090-1660-4899 Hata. WELCOME !! Have a wonderful day and give yourself a smile. 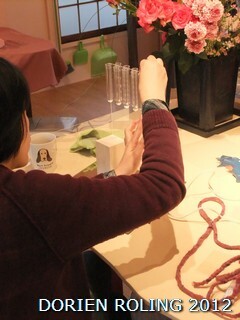 Trendy course 2012 Cylinder design last Sunday. 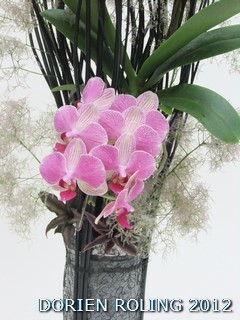 Phalaenopsis with roots and Cryptanthus. 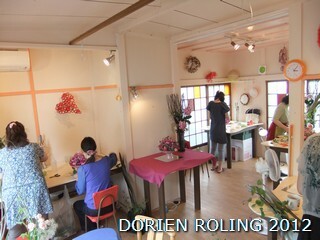 Photo: Students making design in atelier. 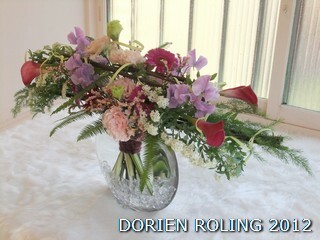 Dorien Roling ドリーンローリン。　Mother day design. 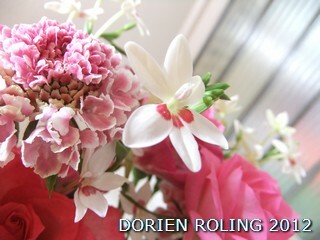 Are you enjoying the GOLDEN WEEK Holiday's? 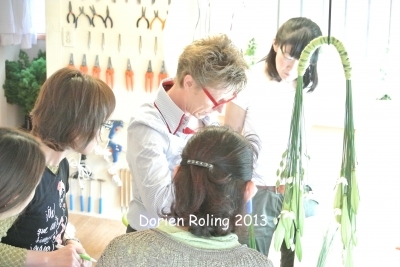 Dorien Design Course lesson; Mother day Design. 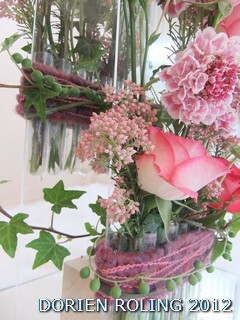 Detail photo of the Mother day Design. student making the Mother day Design foundation. Relax and focus only on the positive things !!! SMILE WILL COME - HAPPINESS WILL COME. and enjoying the chocolate and real eggs. 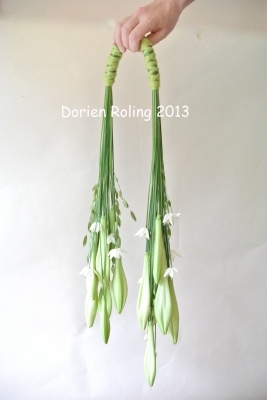 Bouquet with fresh bamboo stick. 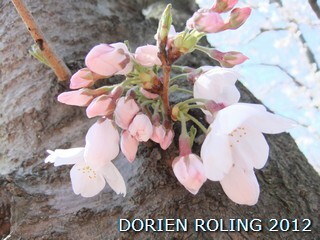 Photo; Spring arrived - Sakura is blooming !! 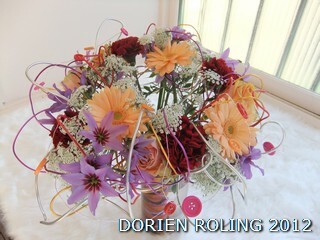 Photo; Circle Hand tied Bouquet. 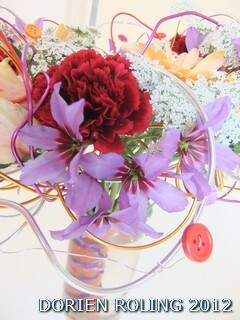 Photo; Detail of Circle Hand Tied Bouquet. on 13th or 14th. The weather forecast looks ok. 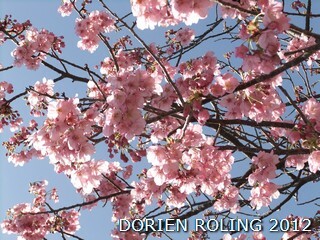 Enjoy the SAKURA !!!!!!! And see you SOON.